Six professional length contour brushes presented in an organic woven drawstring bag. Utilising our unique NimaFil technology, these synthetic vegan friendly brushes are designed to mimic the effect of a natural hair giving the perfect pick up and product pay off as you would using a natural fibre brush. The new Vegan Veluxe Collection is a sophisticated and luxurious cruelty free launch from NIMA Brush consisting of two new sets. This 100% vegan range is the high tech option for professional artists and makeup enthusiasts using a new innovative fibre technology. Introducing our unique Nimafil™ technology, these synthetic vegan friendly brushes are designed using Micron Crystal Technology which mimics the design of a natural hair. The tiny crystals attach themselves to the synthetic fibres creating the finish of a natural hair giving the perfect pick up and product pay off for beautiful makeup application. The Vegan Veluxe Collection was created in association with the IBIZA FASHION FESTIVAL. NIMA Brush are honored to have been invited to collaborate with this environmentally conscious festival this June 2018 as the exclusive brush sponsor. The ethos of this event is sustainable fashion, upcycled garments and ethically sourced fabrics which ties in beautifully with the cruelty free and vegan concept of our newest brush range. Choose a Gift Box Option and receive up to 200% back in products! For example, buy ‘Mystery Box Option 2’ for €75 and receive a stunning presentation box with brushes and accessories worth €200. That’s €125 EXTRA FREE!!! Whats The catch? The only catch is that you don’t get to pre choose what comes in the gift box but we do allow you to give us an idea of who you’re gifting it for. So in a way were doing all the hard work for you! But we guarantee you wont be disappointed! May we introduce you to our new and improved ‘The Basics’ Travel Set. Nima Brush creator, Niamh, has knocked it out of the park with the redesign and upgrading of this set. The Basics Set contains seven brushes to cater for all areas of the face from foundation application to that perfect smokey eye to perfectly defined brows. 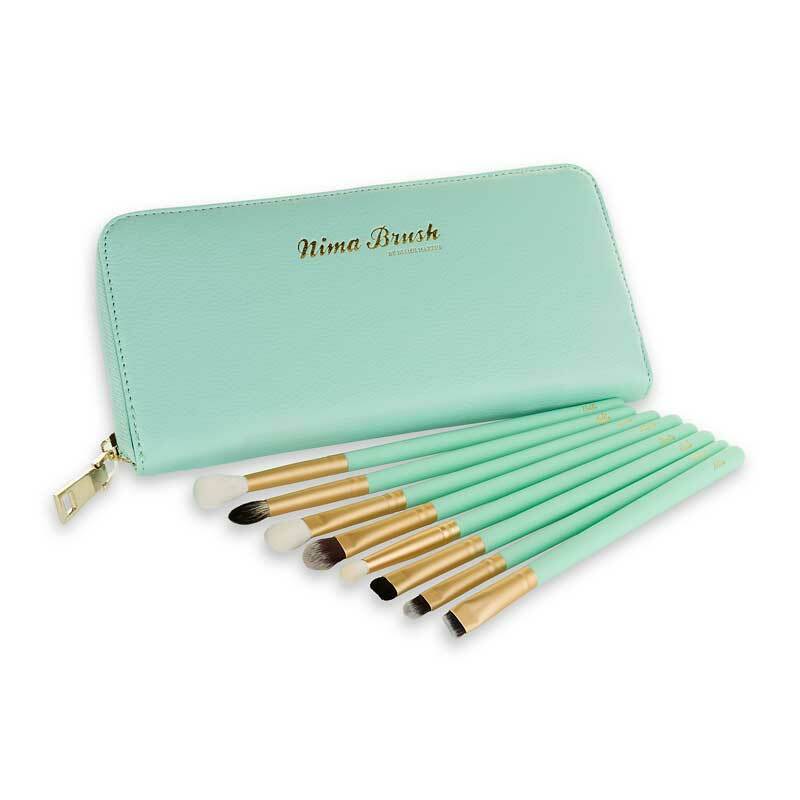 The ultimate ‘Basic’ set is for anybody starting out with makeup or for a busy life on the go! We have improved the brush texture, precision and shape as well as using a higher quality of hair in each brush. The handle is slightly longer than before for a more professional finish. They now also come with a more vibrant rose gold ferrule as well as a new rose gold Nima Brush logo. It was good before, now it’s even better! 7 professional brushes housed together in a classic quilted style clutch case. **To see each brush in use or to buy individually click the link in the description.